I wrote the copy to this video and the subsequent documentary we're doing. Watch for it. Getting the number one seed and the twice-to-beat advantage is good but the lay-off – any layoff – can be bad. Imagine not playing for two weeks. And the rust showed. Advantage to La Salle because they looked sharp and their defense this time contained Greg Slaughter. However, it wasn’t only the long lay-off that anyone had to worry about. When you add the disconcerting and unnerving fallout between Ateneo and disengaged team patron Manuel V. Pangilinan that has been online fodder these past two weeks you wonder if it will weigh heavy on the Blue Eagles. I spoke with a few players in the previous week who all admitted that it threw them off for a bit but a meeting with their coach and a team dinner with MVP helped put them back on track. 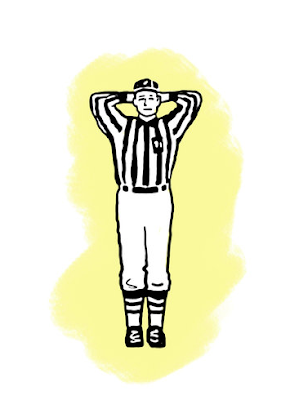 Unfortunately, one referee tried to control the game – and possibly the outcome -- with all sorts of bizarre calls. 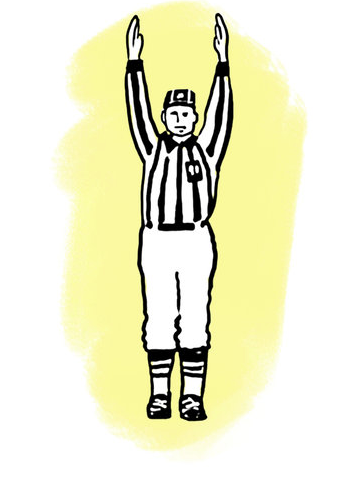 Every side complains about the officiating. Every side says that the ref has it in for them. I remember an anecdote told by a former coach of one of the teams that played in the Final Four about how their athletic director – in a casual conversation during a previous season – suggested buying off the referees. That former coach shot him an incredulous look and said, “We don’t do that here.” And this athletic director shrugged. While doing a story on former Ateneo head coach Joe Lipa when I asked him about these unseen forces, he said, “You can smell it but you can’t see it.” And I believe the man they call “Da Nose”. Having watched the UAAP for a long time, I have seen some players change their free throw stances, make inexplicable shots, or miss shots that well they should make. I believe one coach even gave away a game. And that’s just in basketball. A former football player admitted that his team deliberately lost a game so they could play a team they wanted to get revenge on. I thought that the first two Ateneo-La Salle matches were generally well officiated. Fool I was to think that this one would be the same. Not when it’s moneytime (pun intended). I still have no idea if our referees review the calls – via video and not the chitchat that seems to be the norm -- they make during the course of a game. Some of these guys have no shame and more so with the league that allows this. Back to this Final Four match up. Some of these calls were momentum breakers and they gave La Salle every chance to either stay within striking distance or even win the game. It wasn’t like the UST game that was atrociously officiated but this was dangerously close. Ever since Commissioner Ato Badolato was shot down on his ruling in the second round match between FEU and NU as well as the subsequent, Ateneo-UST match, you could see coaches testing him. Remember when Norman Black was not called for a technical foul for crossing the court to question a referee? I understand why he did that but it did warrant a T. UST’s Pido Jarencio then opined that if he did the same and were slapped with a foul call then all hell would break loose. Watching La Salle challenge Kiefer Ravena’s three-point shot late (at the 2:28 mark of the fourth quarter) that was taken with 4:00 to play was bogus. They had no timeouts left and they sought to challenge the shot to give them an opportunity to pull their team together for some instructions. Green Archers assistant coach Jun Limpot crossed the court to talk to the ref and they blinked. See what happens when people monkey around with the game? Yet incredibly, this was right before Greg Slaughter was supposed to make a free throw. Normally, a replay of a previous shot is made during the course of a game and the game barker announces the challenge and the correction of a call during a lull. But this one was insidious. That challenge took several minutes and that broke the momentum of Ateneo. Slaughter missed the free throw that would have given the Blue Eagles a five-point lead and Almond Vosotros nailed a trey to bring the lead down. The deliberate foul on Kiefer Ravena on Jeron Teng with 15.6 seconds left was another WTF moment. I have always said that I do not mind losing but not like this. As for those challenges, if it is proven wrong then the team that called for it must be charged with a timeout or even slapped a technical foul because it is an obvious delaying tactic. 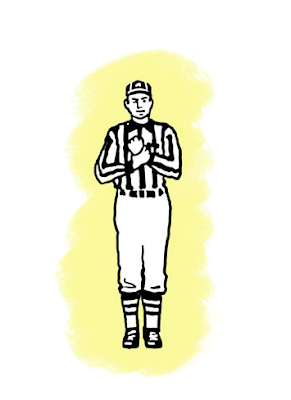 The NFL has successfully worked that into their rule book and maybe that is something the UAAP should do as well. I hear the opposing side say that Ryan Buenafe fouled Teng and that caused him to lose the ball. Sure it was. But the ref missed it and a foul cannot be called on a replay. The call was to check if the ball went off Teng. Upon the resumption of the game, that ref (#7) who had been making all sorts of bad calls against Ateneo announced that the ball was going to La Salle! When the other referee tried to correct him, you could see in the manner of his reaction that he was angry at being corrected. Yet this official went to the technical table to review the play and he saw that it was off Teng’s hands! I shudder to think what awaits us in the finals. There are only two teams in the UAAP this season that have three players who average in double figures and they will both be playing in the finals. UST that has Karim Abdul, Jeric Teng, and Aljon Mariano. And Ateneo that has Kiefer Ravena, Greg Slaughter, and Nico Salva. That means both teams have potent starting fives that can blow away foes with their firepower. No doubt opposing teams will try to stop one or two of them so it is up to another starter or even a bench player to pick up the slack. Nico Salva carried the team early on before turning it over to Kiefer Ravena who had an incandescent fourth quarter. Then the last five points for the Blue Eagles went Ryan Buenafe who finished off La Salle. Salva was automatic from the outside until he decided to mix it up with some drives that didn’t do too well. I remember in last year’s Champions League where Kiefer Ravena did not play well at all. That continued all the way to the pre-season and even the first game of this Season 75. I hoped that there wouldn’t be a sophomore jinx but there has been none. That says a lot about his talent to the point where he can be overlooked. But following the loss to UE, he’s ratcheted up his game several levels higher. Phenom indeed. When La Salle went up by 11, many teams would have folded under the face of that intense kind of pressure. If there is a hallmark about Norman Black’s Ateneo teams, it has been their resiliency. The boys in blue came back but Kiefer strapped the team onto his back in that fourth period with a nifty assist to Greg Slaughter for an and-one, he buried three treys including one that bounced on the rim before settling in the bottom of the net, and there was that pass to Buenafe who was at the right corner pocket. Remember Ryan’s three for three against FEU in Season 73? In this Final Four game against La Salle, Buenafe was 0-5 from La La Land but this one – as his legend grows as a clutch player – was straight and true. Classic Buenafe. When La Salle pulled that faux timeout/challenge, Ryan stole it back from them by forcing Jeron Teng into a lane violation. Unfortunately, he botched the next play as the time nearly ran out on a one-on-one before he kicked out at the last moment. He redeemed himself with that dagger and two free throws to ice the game and Ateneo’s fifth consecutive trip to the UAAP Men’s Basketball Finals. As Buenafe trooped to the free throw line for two shots with the game on the line, Vosotros went to him to give him some friendly advice. It didn’t work. I asked Ryan outside Café Adriatico in Gateway last night what Vosotros said to him. Said Mr. Clutch, “I didn’t understand; Tagalog, eh.” We had quite a hearty laugh. When I used to listen to my dad’s stories about Ateneo championships, I’d go “wow.” He was in grade school when Rusty Cacho led the seniors to titles in 1953 and ’54. He was in high school when the seniors won behind Ed Ocampo in 1957 and ’58. When he was in college, his classmates helped ye old blue and white to another NCAA championship in 1961. Kaya mayabang batch ng dad ko. But I too have my stories to tell. In grade school, Ateneo basketball was in its first Dark Age. In high school, we were taking all comers and handing their backs at them for back-to-back UAAP Juniors crowns. 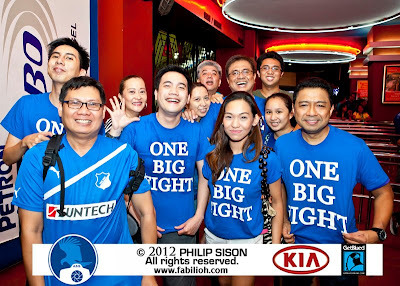 By the time I got to college, we took the 1987 and ’88 championships, the first two for Ateneo in the UAAP. That was won with many of my batch mates – Sep Canlas, Jun Reyes, Jet Nieto (whose kids you should watch in the juniors team), Alex Araneta, Jay Gayoso (he has his own wunderkid playing football for Ateneo), and Gene Afable. After the winless 1990s, it was an explosion of emotions when we won in 2002. The joke by La Salle back then was our next title would come in another 14 years. For a while, I wondered if they were right as we lost in 2003 and 2006. I knew our time had come in Season 71 and we could make it back-to-back. Winning three straight, well, that was downright historic as the last Ateneo team to accomplish that was many generations ago (1931-33). To win four straight is fantastic and now, to play for a historic fifth straight title, well, I’d tell you more but let’s just wait ‘til it’s all done. Then what a marvelous story that would be. Fifteen down. Two to win. After dinner at Oyster Boy, I bumped into the Ravena family who I have been friends with since well Bong and Mozzy weren't married yet. Hahaha. I told Bong: "Galing talaga ng anak mo. Pero mas magaling pa rin yung Bong Ravena." Bong laughed and disagreed. Mozzie disagreed too. While Kief has surpassed his dad in terms of championships at this level, Bong was a force of nature if you saw him play then. I don't recall anyone stopping him. You just hoped he had a bad day or that he got into foul trouble. So there. Also spoke to two of my friends on the La Salle team -- Joshua Webb and Arnold Van Opstal. Told Webb to continue to work hard so he'd get into the PBA. As for Arnold, this guy can get so much better. While Webb is off the team as he's done with eligibility, AVO has three more years. La Salle will have a very good team next year. Love these two guys. Here's the last of the Gatorade Brand Ambassador videos I worked on with Stu Balmaceda, Alexx Esponga and the folks at Stellar Atelier. Hope you like it. But we do have two more vids -- team related though -- in the works. Ten yards! Holding the NFL hostage! Touchdown for Seattle's Golden Tate (even if Green Bay's MD Jennings intercepted the ball). 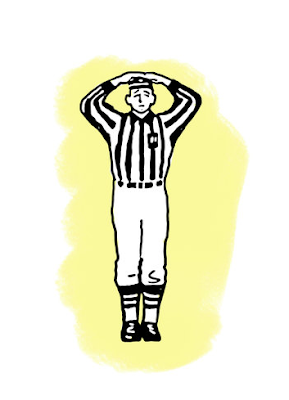 Five yards and loss of down or loss of memory? Let the video guys figure out the call. Last season, Global got off the wrong foot to start league play with a 2-1 loss to Army. They rebounded with a 2-0 over Pasargad in their next fixture. When Pasargad reloaded big time in the March transfer window, they piped Loyola 4-3 in a win that spurred them on to finish the league. But in Pasargad’s very next game, they were crushed by Global, 4-0. If Pasargad, former UFL champions, wants to regain their former glory, they’ll have to defeat the current toast of Philippine club football. Last season, Stallion swept the season series with Air Force with results of 4-1 and 2-1. Stallion has its roots in Barotac Nuevo, Iloilo where many of the current Air Force players hail from. Stallion will not catch anyone by surprise this season. On the other hand, Air Force is raring to get back at every club. More than a year ago, the Younghusband brothers along with current Loyola teammates Roxy Dorlas and PJ Fadrigalan played for the Rizal team in the Smart Club Championship where they lost to Global. The Rizal team in essence was Mendiola that was suspended from the UFL that year. You think Mendiola will go easy on their former teammates? Dolphins played great in the UFL’s Division Two last season while they got numerous scoring chances against Diliman, they simply could not finish. With Diliman weakened by the departure of almost their entire starting eleven, payback’s on the horizon for Dolphins United. The 2012 UFL Cup: Drama, family feuds and a whole lotta football. Drama, family feuds and a whole lotta football. The UFL Cup is set for kick off after an exciting draw. If the results of the main draw for the group stages of the 2012 UFL Cup say anything, football fans are in for a treat for some battle royales and inter-family warfare. 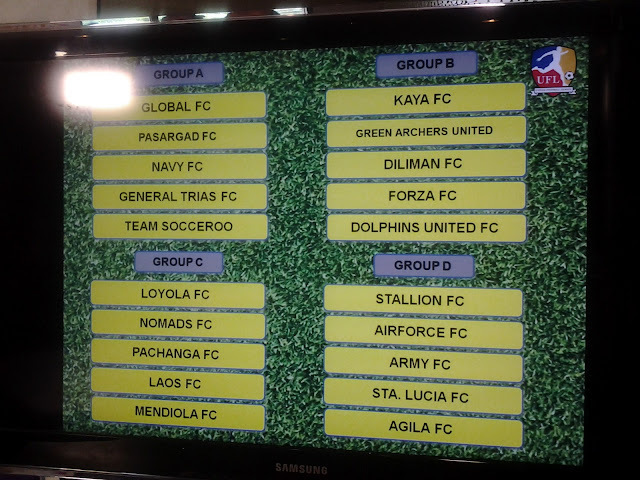 Group A: Global, Pasargad, Navy, General Trias, Team Socceroo. Global and Pasargad are arguably two of the hottest teams in the league. Both came on very strong in the second round of league play. They’ll both be favorites to advance to the next stage. Navy would love nothing more than to salvage old glory following their relegation to Division Two this season. Unfortunately for them, they lost a lot of their players to other clubs. The deceptively named General Trias is one of the guest teams that made it through the qualifiers. The club is wholly Korean and is based in Cavite City but don’t expect them to play Gangnam style as they look to challenge all takers. Team Socceroo had a terrible cup showing last season but came on strong in league play. Despite the loss of key players, they look to perform better this cup competition. Group B: Kaya, Green Archers United, Diliman, Forza, Dolphins United. Perhaps the lightest bracket of the group stages. Kaya and Green Archers have beefed up while Diliman has somewhat been defanged with the loss of many of its top players to Pachanga. Forza and Dolphins United will challenge with the latter being a tougher side but the gap between them and the two Division One teams – Kaya and Green Archers – is simply too massive. Barring any upsets, Kaya and Green Archers should advance. Group C: Loyola, Nomads, Pachanga, Laos, Mendiola. This year’s “group of death” falls to Group C with Loyola, Nomads, Pachanga, Laos, and come backing Mendiola. The first three clubs are all Division One squads while Mendiola was literally the second placer of the first Smart Club Championship. It might be a little tougher on Loyola as their UFL Cup play will also coincide with their participation in the 2012 Singapore Cup semifinals. Their problem was the lack of depth last season. Now they will be tested as they will no doubt will their first team in both competitions. Nomads… if they are able to practice regularly can beat any UFL team. The operative word being “if”. But they’ve been beefed up by some of their Team B players and that should help. Should Pachanga get its act together they are a potential powerhouse team. Still they’ll be a tough team to play. Mendiola is the dark horse team here. What drives them? Does wanting to prove that they belong in top-flight football after being suspended for a year count? Laos is not the team it once was. But who knows? Loyola and Pachanga should advance to the next stage. Group D: Stallion, Air Force, Army, Sta. Lucia, Agila. Talk about family feud right here. Group D is four-fifths an all-family affair with Stallion, defending champion Air Force, Army, and Sta. Lucia owing its roots to Iloilo. Agila is the one outsider here. You think they will all go easy on one another? No freaking way. We’re it not for the late freefall of Army in last year’s league play, this would be a second group of death. Any maybe it is. Look at it this way – Stallion is every bit of an elite club – foreign players, a token Azkals with some former national players, and a K-Pop contingent from Iloilo. All the other clubs are more of the homegrown variety with a lot of things to prove. Air Force would love to find the form they showed when they captured the cup in scintillating fashion last year. Army is swimming against the tides of change. Sta. Lucia is Stallion’s Team B but don’t tell that to them. They have many players who suited up for Stallion, Pachanga, and other clubs last season and they’ll want to go out and prove that they deserve to play in Division One. Stallion and Air Force should emerge from the internecine warfare to go to the next stage. The top two clubs that survive the group stages will move into a crossover knockout format in the quarterfinals. The winners of the semis stage will play for the championship while the losing squads figure in the battle for third place. The group stages competition of the 2012 UFL Cup will kick off on October 2 at 5pm at the Rizal Memorial Football Stadium with Kaya taking on Green Archers United while Global and Pasargad figure in the main match of the doubleheader. If the two-time former UFL champions began the league play with the lineup they closed out the season with they would have finished much higher in the standings. It started out with the acquisition of Masood Ohadi Shadideh, who scored 10 goals in eight matches, Shayan Jafari Dastjerdi, Hamed Hajimehdi and Fil-Spaniard Emil Muncada. Although they stumbled to a 2-0 loss to Air Force as the new recruits got their baptism of fire in Philippine football, they found their groove in the next game with a 1-nil triumph over Nomads and a shocking 4-3 upset over Loyola that derailed the latter’s campaign. Jafari Dastjerdi scored a hat trick in that match including an 84th minute strike that won the game for the Essi Sedigh-coached side. Global sent them crashing back to earth with a 4-0 thumping (and a 1-1 draw with Green Archers United), underscoring the need for better defending. After which they manufactured a 1-0 win over Stallion before returning the favor to Air Force with a 3-2 win courtesy of an Ohadi goal. In the off-season, the club, aside from Pachanga, underwent a massive facelift with only nine players retained from the previous campaign. They brought in Fil-American Josh Boone from the Dayton Dutch Lions of the USL Pro League, Pachanga’s goalkeeper Kenneth Dolloso who is a penalty stopper, Nigerian striker Emmanuel Mbata, and defender Promise Jolomi who will take the departed Mark Anthony Fernandez’ spot in the back. They also added 22-year old Michael Nelson, a Fil-British midfielder who once played for Nomads. With all the new faces, it would be interesting to see how they all blend and improve on last year’s finish. (OUT) Abdollah Golkah, Soroush Zalmoo, Majid Mahdavi, Mansour Madadi, Alex Sheehan, Erol Labra, Miki Emaka, and Charlie Sutcliffe. For a club that doesn’t have the capability to pay its players, recruit massively, and train on a regular basis (not to mention dealing with distracting issues in their particular “homefield” in Merville, Paranaque), Nomads didn’t do too bad in their maiden year in the top flight division of the UFL. Now what more if they were able to address their woes? There are 10 new faces to Nomads, the country’s oldest football club. The team has shed its expat image and brought in many local players. But Phil Connolly, Steven Borrill, Randy Musters, and Kristian Joergensen will still lead the Mick Denison-coached club. Last season, Green Archers United played terrific defense in the cup competition. Come league play, while they were still a tough team defensively their lack of offense wasn’t enough to stay in the upper tier of Division One as they flirted with relegation. There’s potential, mind you. They showed that they were a force to reckon with by battling Loyola to a near standstill before losing 2-3. They lost to Kaya 2-1, drew 1-1 with Pasargad, and lost by a hairline to eventual champions, Global, 1-0. Their transfer window acquisitions from FEU’s UAAP team – striker Jon Melliza and the multi-talented Ronnie Aguisanda – helped the squad offensively but it still wasn’t enough. This new season, they hope to have addressed some concerns with the arrival of former Global midfielder Ayi Nii Aryee who also won two titles in the UAAP with UP. Ayi can be of great help to his team – provided they know how to use him. In the past, he was asked to playing defender or even a holding midfield position. They are far from his strengths as he is a scoring player. 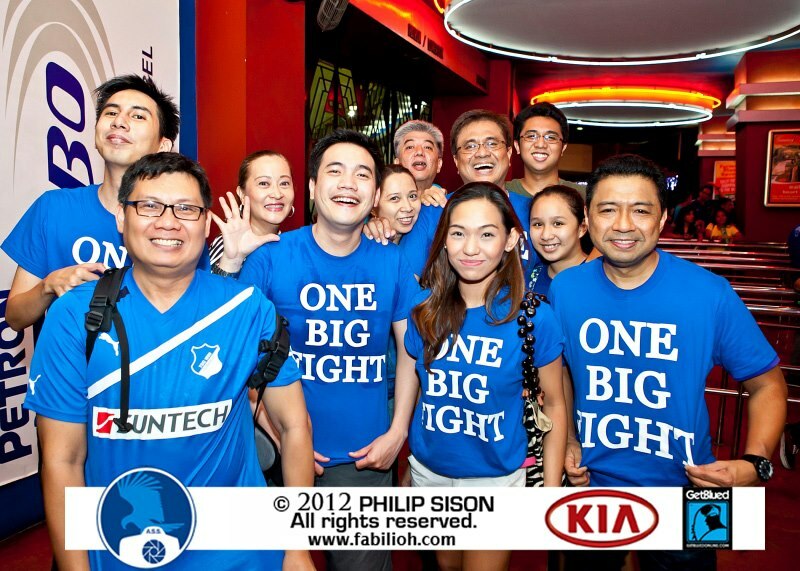 But the coaching staff is hoping that he can find Tating Pasilan, Arnie Pasinabo, and Melliza with his deft passing. If he can link up with them then Green Archers will be dangerous up front. Young Korean midfielder Saekyoul Lee from FEU is an exciting midfielder who makes good reads on offense. It would be interesting to see how he finds playing time not to mention chemistry with a team that isn’t very good in its short passing. Lawrence Ikegwuruka, late of Loyola, and Dominic Mensah, formerly of Nomads, add to their defensive toughness. (IN) Ayi Nii Aryee (Global), Elle Cagayanan, Lawrence Ikegwuruka, Saekyoul Lee (FEU), Dominic Mensah (Nomads). Another former club power that has struggled to compete with the new face of Philippine football. They showed some promise when they upended eventual champion Global in their first match of the league competition. They hung tough in the next few games before their lack of firepower up front did them in. National players Boogie Margarse, Roel Gener, and Ric Becite did their best to carry the team but it was like putting up a sandbag against the rising flood waters. Jeoffrey Lobaton who made a comeback early last season when Army was lacking players made an impact with his energy. But his temper also undid the team when he was oft carded for his physical play. With the promotion of Pachanga, Army will be hard pressed to make the most out of its roster of former national players many who are getting in on the years. (NEW) Kevin Benas, Jake Macuja, and Jake Rodrigazo. Easily the most controversial club of the past two years. Pachanga has its genesis in Kaya when many of its players departed for the new club (including their coach Juan Cutillas). The Red Phoenix, as Pachanga is known, topped the UFL’s Division Two in record setting fashion as they romped through the ranks with a 21-1-0 slate while racking up 123 goals and conceding only eight. As soon as the club was promoted, they were sold to a group that owns Diliman FC prompting a massive change in its roster. The result is the best of both club’s former line-ups and instantly transforms them into a darkhorse contender for any piece of silverware this season. They are led by former national players Freddy Gonzalez, Ariel Zerrudo, and the up and coming Jinggoy Valmayor. I have always been a fan of German footballer Miroslav Klose. Last night, he scored three minutes into Lazio’s match versus Napoli. Apparently, the ball hit his hand and went in. Klose had about a minute to think of it as Napoli players protested to the referee before he fessed up. The referee waived it off upon Klose’s insistence. Grateful Napoli players rubbed Klose’s hair as a sign of gratitude but it hardly mattered as Lazio crushed Napoli which in case you do not know is Diego Maradona’s former club. Question now is… do I get a Lazio jersey? Have always disliked this club for its fascist ideology. Maybe I will look for a Bayern Munich Klose shirt. "Doin' it in the park" is a beautiful trailer of a documentary about New York City playground hoops. I got to play ball at West 4th or "The Cage" as they call in in Greenwich Village. Loved every moment of that. Got dunked on once but I got to lob an alley-oop to some Skywalker. Am so looking forward to this docu. Check it out, dog. Here's the synopsis from the website: DOIN’ IT IN THE PARK: PICK-UP BASKETALL, NYC is an independent documentary directed by Bobbito Garcia and KEVIN COULIAU. The film explores the definition, history, culture, and social impact of New York’s summer b-ball scene, widely recognized as the worldwide “Mecca” of the sport. Here's a video we did for Gatorade. Script by Alexx Esponga and me. Stu Balmaceda helped out as did the fine folks at Stellar Atelier. Thanks to Edwin Reyes of DLSU as well as Coach Gee Abanilla for the assist. What happened to the FEU Tamaraws? Looking at the season past. However, in the end, they fell apart in an ironic reversal of fates. In my pre-season preview, I didn’t tab them to make the Final Four but early on they looked to prove me wrong. Early in the season, they were the masters of the clutch win. Six of their first round matches were decided in the final 20 seconds of play as they placed their with a 5-2 record. They finished the second round 4-3 then lost the playoff with La Salle. They were ahead with about five minutes to play before they went cold. A pair of back-to-back treys got them back but a botched last play (I have no idea why Mike Tolomia decided to do it on his own) did them in. How did it all go wrong for FEU? I figured that the loss of Aldrech Ramos, JR Cawaling, Pippo Noundou, and Ping Exciminiano would be a little too much for Bert Flores’ team. But the additions picked up the slack – Anthony Hargrove, Arvie Bringas, and Rey Mark Belo much better than the previous crew did the previous season. As huge pick-ups Bringas and Hargrove were, their biggest problem was staying on the floor. The two were simply foul magnets. Hargrove averaged 7.6 points, 7.7 rebounds, and 1.1 blocks in 26.3 minutes per game. He clearly got better as the league went on but he also averaged 2.6 fouls in 15 matches. Arvie played in only 12 games as he missed three due to suspensions. His absence greatly told on the team’s fortunes. Bringas averaged 18.2 minutes per game while netting 6.1 points and 4.5 rebounds per game. Arvie averaged 2.4 fouls per game. Russell Escoto had his moments but he never really got going this year. FEU averaged 21.4 points per game from their four and five spots last year. This year, they did slightly well with a little over 22.8 points per game. Unfortunately, of the frontline of Hargrove, Christian Sentcheu, Mark and Arvie Bringas, and John Foronda, it is only Hargrove and Mark Bringas who played in all 15 games. Escoto and Arvie missed three games. Sentcheu played in eight while Foronda got off the bench for two games. By contrast last year’s team, Aldrech Ramos and Escoto played in all their games. Mark Bringas missed only one match. Foronda played in nine games. Carl Cruz played once in a while at the four spot (he got to play in all 14 matches). As much as the Tamaraws are tops in the league in perimeter points, their inside points are crucial. Against NU in the replayed match, the frontline of Hargrove, Escoto, Foronda, Mark Bringas, and Cruz combined for 18 points. The Bulldogs scored 36. In the knockout game against La Salle, the Tams inside players scored 21 points while the Green Archers Norbert Torres alone had 21. However, the problems of the frontline are not as big a let down as with one other player – RR Garcia. RR Garcia’s game went down. Two seasons removed from his MVP season, Garcia was not his usual steel-nerved self. Did Terrence Romeo take away from Garcia’s game? Just as Garcia took over the team in Season 72 from Mark Barroca, this season saw Romeo strap this team onto his back. Of the five teams that battled for a final four slot, Romeo and Garcia are the highest scoring backcourt duo. Both average 30.1 points per game. FEU averages 70.6 points per game. The Tamaraws duo overall has the biggest impact in terms of their team’s offense. I’d say that it has been Garcia’s struggles and their seemingly (not all the time) inability of Garcia and Romeo to play with each other that has hurt the team. In 17 minutes of play against La Salle in the knockout game, Arvie Bringas tallied 2 points, 4 rebounds, and 2 assists. And he had 4 fouls called on him. There he was at the end of the game, locking arms with teammates hoping their last salvo of back-to-back treys will give spur them on to a win. The Tams surprisingly took a new persona this year – a team that played tough, rough, physical or dirty depending on which side of the arena you sit. Gone was the incredible offense they were known for as this season will be remembered for what might have been, the spitting incident, and the suspensions. And of course, the replayed game that changed their fortunes. Team management appealed that Bringas be allowed to suit up after the second round NU match was to be replayed. He would have very well been allowed but then he and Mark Belo lost their heads in a game against UP rendering any appeal moot and academic. During aforementioned elimination match with the Green Archers, the Tamaraws looked nothing like the team that no one wanted to play. They looked tentative and somewhat soft inside the lane. Mark Bringas, in his final game for FEU, played fantastic. And he was the only one gamely playing Torres and company (well throw in Terrence Romeo). It was a painful loss for the Tams as they have made the Final Four six years after missing out in 2006. Belo was a nice addition to the team and he became more dependable that Cruz or even Gryann Mendoza who struggled with minutes and consistency. Mark Bringas is done. There are many questions that need to be answered in the offseason, but the more pressing one is: will RR Garcia come back for his final year? He does have one more year of eligibility left. Looking at it coldly, he has nothing to prove in the amateurs. He’s won with NLEX, the national team, and for FEU (although in other leagues such as the Fr. Martin’s Cup). Garcia’s game is polished for the pros. But then there’s giving it the old college try. When a player decides to move on, he’ll never play for the school again. As for the pros that depends on how one can survive the rigors and competitiveness (the average career of a pro player is four years). There’s Jerie Pingoy coming in. He’s another player who will need the ball to thrive. At this point, the Tams need more frontcourt scoring. There’ll be time to grieve but in a month’s time, the University Games are there to play. Guess, we’ll see how they rebound from this. Notes and thoughts: I find it funny that some people are insinuating that RR "dropped" some games. If you bothered to watch the Tamaraws all season long, Garcia has not played well. He was guarded well on some occasions and at times was just horrible. I wondered about his focus and even conditioning. Championships in the D-League and a gold medal in the SEA Games might have dulled his edge heading into the season but that's just me speculating. Whatever it is, I thought that he didn't play well at all. Terrence Romeo on the other hand, having seen him in practice and during games, what you see is what you get - the same emotionless expression and taking everything seriously. When he misses during practice he gets mad at himself. I think that he has the makings of a fantastic pro player. He's someone who wants to get better at the game.